The holidays are upon us! In a time when social media places everything at our fingertips and makes it easy to share our accomplishments in an instant, the holidays seem to be a time of undue stress and pressure for most parents. Before having children, holidays were a time to gather and enjoy spending time with friends and family, now they begin before Halloween has commenced and I find myself trying to be Super Mommy! As a working mom of two little ones, I have danced the line between trying to save the day and completely becoming a Scrooge. But, recently I had an epiphany: I am making it much harder than it really needs to be. Instead of worrying that I won’t find enough creative ideas for our Elf on a Shelf, or spending countless hours combing Pinterest for the most creative craft, I should spend time enjoying the holiday season with my sons, making memories we will enjoy, regardless of how many “likes” we garner on Facebook. So, with my enlightened mindset, I started thinking of what my sons enjoy doing and what the holidays have meant for my husband and our family. As I thought about the memories we have had, a great deal was tied to how we felt during the holidays. You hear a certain song and it makes you recall a special day. You walk into your grandmother’s kitchen and smell gingerbread and you instantly know it is the holiday season. 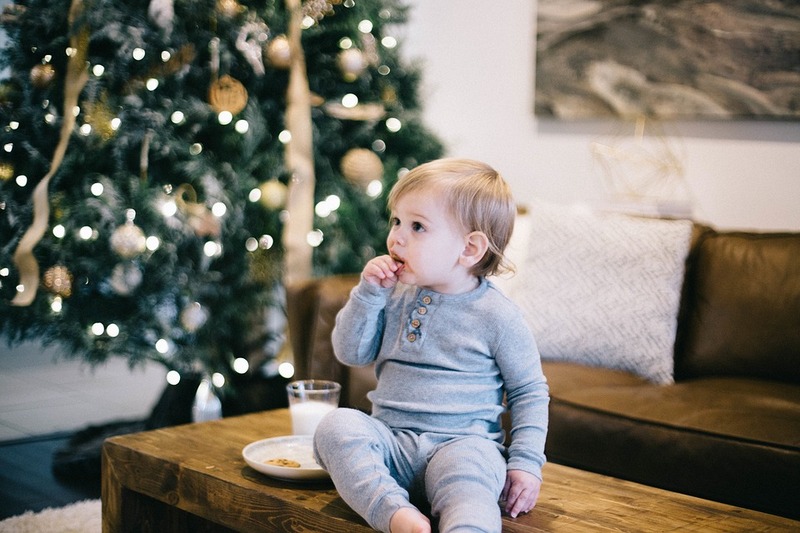 Why not incorporate the five senses into our holiday traditions so that years from now, when my children taste a butter cookie or see lights being turned on for the first time that season, it evokes the same emotions it did when they were little boys? It is ingenious, simple, and it will be something that will help us cherish our holidays for years to come! Touch: What are some things you typically use to decorate your house for the holiday season? Have your child help you decorate and ask them questions as you do. Is that soft or rough? Is it heavy or light? For years to come, they will remember the big and little things that you put out to usher in the holidays. Sight: Do you have a favorite holiday movie or book that you wait for all year? Try to find a way to incorporate that into your traditions. Can you watch the movie together? Read the book aloud the night before? Taste: When you think of holiday foods, what comes to mind? If you bake your own holiday treats, find ways your child can help. Even if they’re very tiny, they're probably able to use a spoon to mix ingredients. Once you've put all the ingredients together, spend some time waiting by the oven for it to cook, then enjoying the first batch together. Smell: Every season has a smell. Whether it be pine needles, a cold winter snow, or hot chocolate, what smells do you associate with this season? Are there activities you can you do with your child that will allow them to recognize and enjoy that same familiar smell? Sound: Music and laughter: two things children love! Put on your favorite holiday music, and encourage your child to sing along and dance with you to the music. At a young age, they won’t be able to recite the lyrics, but you can do a funny dance together. As they grow, their love for that harmony will too. Regardless of the holiday, you are celebrating, just remember you are a SUPER parent already, just don’t forget to enjoy the greatest gift you already have… your children.